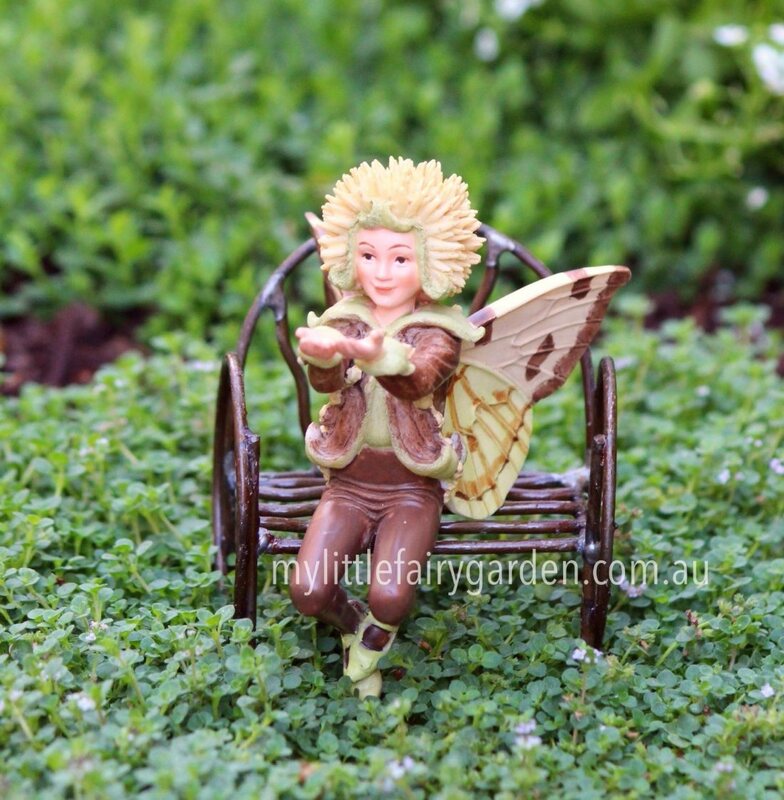 Beautifully hand painted Sweet Chestnut Flower Fairy figurine. Optional gold string and wire pick included for securing in your display. Comes in a plain white box, not display box. During autumn, fairies gather nuts that have ripened all summer long. The Flower Fairies store these nuts to eat in cold months when food is scarce. They keep their stores of nuts in holes in trees, too small for squirrels and nuthatches to plunder. No winter feast would be complete without roasted chestnuts as the main course. Says the Fairy: "How's that?"